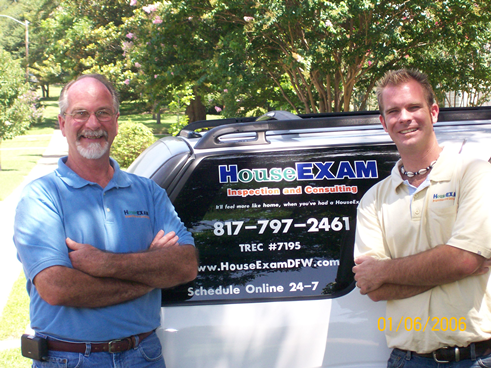 Our entire staff is here to serve your home inspection needs. If you call the main company phone, you will likely speak to Elizabeth Sedinger (Adam’s wife). She’s the lady who makes things tick, and tells us inspectors where to go (in a nice way). Then we inspectors go do our jobs and you get to benefit from our experience and expertise. Altogether, the home inspection staff has a combined experience of over 26 years in the industry. We can meet your scheduling needs. Our services include inspections for new construction (phase or final), existing homes, vintage homes, and builder’s warranty (one-year) inspections. Our ancillary services include WDI (termite) inspections, pool and spa, well and septic. We also perform infrared scans of a structure for troubleshooting insulation, air leaks, electrical problems and water leaks. 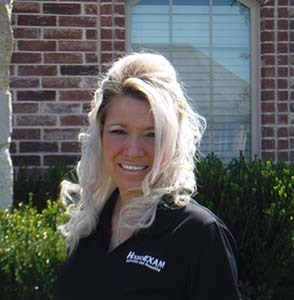 Give us a call 817-797-2461 or click here to order a home inspection for yourself.